Yesterday, Amazon announced that it would no longer sell items depicting the Confederate flag due to the controversy surrounding this symbol following the terrible crime committed in Charleston. I applaud Amazon for deciding to discontinue sales of an item that many find offensive and consider to be linked to racism and oppression. Yet, I cannot help noticing that Amazon continue to sells many other items linked to some of the worst regimes in history. If Amazon has a new policy of not selling offensive merchandise, then why do they continue to sell some of the following items. 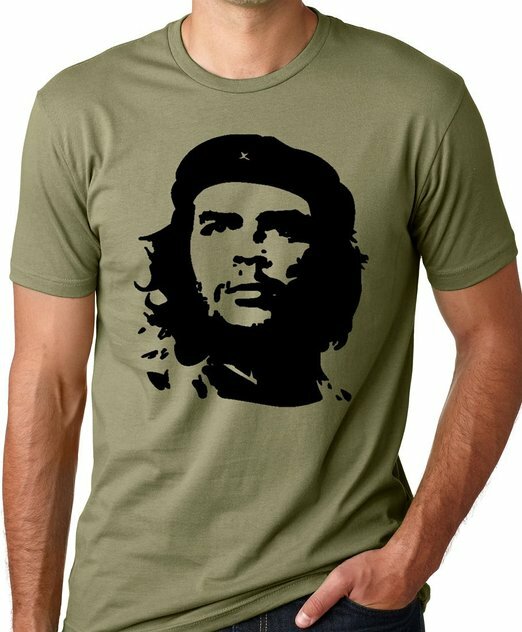 You can still buy a Che Guevara t-shirt through Amazon. Che Guevara was an Argentine Marxist who helped Fidel Castro come to power in Cuba. He was also a psychopath and a murderer. He set up Castro’s secret police and ruthlessly crushed all opposition to Castro’s rule. He enjoyed his work, personally participating in the torture and execution of dissidents. Even a tyrant like Castro couldn’t stand him so he sent Che off to export the Revolution in Africa and mainland South America. In Africa, Che made amazingly racist observations about the guerrillas he was sent to train. Che was executed in Bolivia. For some unknown reason, this murderer and despot has become a pop culture symbol of freedom and resistance against tyranny. 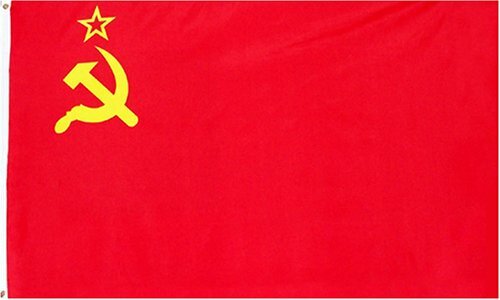 The Confederate flag is banned but you can still get an old Soviet flag. Tens of millions of people were murdered by the evil and oppressive regime that this flag represents, yet somehow it is less offensive than the Confederate flag. Why? 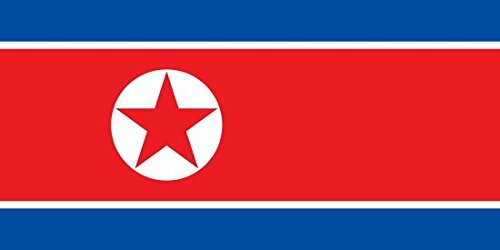 You can also get the flag of the Democratic People’s Republic of Korea, AKA North Korea. This is the country with the worst civil rights record in the world, at present, yet its flag is less offensive than the Confederate’s. It’s true that they don’t have slaves in North Korea, unless you consider that everyone is a slave in that country. 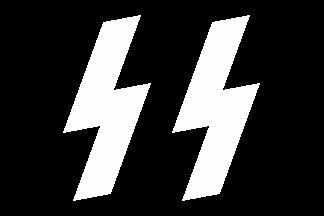 You can still get an SS flag. You know, the fun-loving guys who just happened to murder something like ten millions people in the Holocaust. You can get nice, inspirational posters of Communist mass murderers. 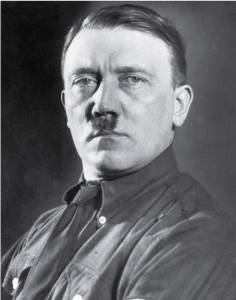 And a wonderful portrait of the Fuehrer himself. I believe that each of these items to be far more offensive than the Confederate flag. So, when is Amazon going to end their sales? Not any time soon, I expect. If we’re getting rid of symbols of bigotry, rainbow flag is next (renewamerica.com) Yes, I associate the rainbow flag with anti-Christian bigotry. It should go. Why Best Buy is Going Out of Business is an interesting article I read in Forbes.com. The reason Best Buy is in a death spiral is not so much from the competition from online retailers such as Amazon.com, but because of a basic failure in customer service. As the article’s writer, Larry Downs, puts it. But the numbers only scratch the surface. To discover the real reasons behind the company’s decline, just take this simple test. Walk into one of the company’s retail locations or shop online. And try, really try, not to lose your temper. I admit. I can’t do it. A few days ago, I visited a Best Buy store in Pinole, CA with a friend. He’s a devoted consumer electronics and media shopper, and wanted to buy the 3D blu ray of “How to Train Your Dragon,” which Best Buy sells exclusively. According to the company’s website, it’s backordered but available for pickup at the store we visited. The item wasn’t there, however, and the sales staff had no information. But my friend decided to buy some other blu-ray discs. Or at least he tried to, until we were “assisted” by a young, poorly groomed sales clerk from the TV department, who wandered over to interrogate us. What kind of TV do you have? Do you have a cable service, or a satellite service? Do you have a triple play service plan? He was clearly—and clumsily–trying to sell some alternative. (My guess is CinemaNow, Best Buy’s private label on-demand content service.) My friend politely but firmly told him he was not interested in switching his service from Comcast. I tried to change the subject by asking if there was a separate bin for 3D blu rays; he didn’t know. My friend is too polite. “How is that any of your business?” I asked him. “All right then,” he said, the fake smile unaffected, “You folks have a nice day.” He slinked back to his pit. But this is hardly customer service. It’s actually getting in the way of a customer who’s trying to self-service because there’s no one around who can answer a basic question about the store’s confusing layout. It’s anti-service. Downs goes into a lot more detail about what Best Buy is doing wrong and Amazon.com is doing right. Amazon lives and breathes the customer’s point-of-view. It completely engineers its business practices, its systems, and its people to support it. When they make a mistake, they admit it and they fix it. Immediately. Once, when I had a problem with a new TV that turned out to be a manufacturing flaw, the company begged me to let them pick up the unit, send something else, and install it for me. That was more solution than I needed, let alone asked for. It’s not just Amazon’s prices that are better, in other words. Its customer service is superior in every way. And unlike traditional retailers, it recognizes its own potential disadvantages and innovates ways to overcome them. The company has no retail locations to pick up merchandise, but it ships instantly, often for free. It has no on-site sales experts to answer questions, but the pages of its products are filled with videos, FAQs, and customer reviews and answers. The company keeps track of all previous orders, and uses its database to make helpful recommendations of other purchases. Phone support is instant, responsive, and knowledgeable. Returns are simple and unburdened by restocking fees and other gotchas. Inventory is precisely managed in a single system that spans all distribution points and third party partners. Amazon always gets my business precisely because they go the extra mile to give me what I want. I can honestly say that I have never had any customer service issues with them. There is nothing inevitable about the decline of any business. Even with changing circumstances and advancing technology, any business can still profit, as long as they stick to the basics of keeping the customer happy. I read in this story in Fox News that Amazon.com, Facebook, Google, and others are planning a blackout of their sites to protest the Stop Online Piracy Act (SOPA). In the growing battle for the future of the Web, some of the biggest sites online — Google, Facebook, and other tech stalwarts — are considering a coordinated blackout of their sites, some of the web’s most popular destinations. No Google searches. No Facebook updates. No Tweets. No Amazon.com shopping. Nothing. The action would be a dramatic response to the Stop Online Piracy Act (SOPA), a bill backed by the motion picture and recording industries that is intended to eliminate theft online once and for all. HR 3261 would require ISPs to block access to sites that infringe on copyrights — but how exactly it does that has many up in arms. The creators of some of the web’s biggest sites argue it could instead dramatically restrict law-abiding U.S. companies — and reshape the web as we know it. This is an extreme measure and normally these companies wouldn’t want to inconvenience their customers, but they feel that the dangers to freedom on the Internet is worth it. I agree. This is a bill that has to be killed. While I agree that the entertainment industry has legitimate concerns about the theft of copyrighted materials, I feel that this bill is overkill. I’m sure that the real pirates will find ways around it while only the law abiding user will be inconvenienced. For more information about SOPA go to Stop American Censorship. If you find yourself annoyed by your atheist relative or friend who recites talking points from the New Atheists about the Bible; the Bible is Bronze Age mythology, unhistorical, supports slavery and genocide, Christianity retarded the advance of science, etc, then you need The Politically Incorrect Guide to the Bible by Robert Hutchinson. Hutchinson begins by showing that the Bible is indeed historically accurate. Many supposed contradictions and inaccuracies are, in fact, the result of not understanding the literary techniques of the ancient world. He goes on to point out that, in a way, the Bible has been too successful. That is, to say, that the Western world has become so used to Biblical morality that we are often unable to understand fully the cruelty of the ancient world. Many advances in morals that we consider enlightened and modern had their beginnings in the Bible and the Hebrew culture that created it. In ancient times, infanticide was a universal practice, except among the Jews and later the Christians. No one questioned slavery but the law of Moses softened and ameliorate the practice among the Jews by insisting masters treat their slaves justly and freeing them, with supplies to live on, after seven years. This is a marked contrast with the Roman conception of slaves as moving, talking tools, and living at their master’s whim. Later the Christians questioned slavery and ultimately Christians were responsible for abolishing slavery in the West. It is a common belief that the Middle Ages were a time ruled by faith in which everyone was completely ignorant and science was at a standstill. Only when the Enlightenment philosophers shook off the restraints of religion was humanity able to progress. Hutchinson shows that this belief is entirely false. 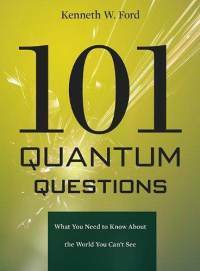 Science had its beginnings in the very religious and Christian Middle Ages. All of the founders of modern science, Galileo, Newton, Boyle, Pascal, and many others were devout Christians. In fact, there is a strong possibility that the Judeo-Christian worldview was especially conducive to the development of modern science. After all, it only arose in Christian Europe. Our concepts of human rights come from the Bible. If you believe that God created man in His own image and that His son died for all of us, then it follows that each human life is precious and has the unalienable rights to life, liberty, and the pursuit of happiness. If you believe that humanity was an incidental creation of the gods or evolved from primordial muck, then you might have a different, less exalted view of the rights of man. From the Orange County Register. California Governor Jerry “Moonbeam” Brown just signed a law taxing Internet sales. The state Board of Equalization (whatever that is) estimates that this measure will raise some $200 million. The California Retailer’s Association is pleased. So, how is it working out? Well, it would seem that Amazon.com has decided to end its affiliate advertising program with over 25,000 California websites. In their e-mail, Amazon.com explained why this was necessary. (The bill) specifically imposes the collection of taxes from consumers on sales by online retailers – including but not limited to those referred by California-based marketing affiliates like you – even if those retailers have no physical presence in the state. Oh, well. It would seem that the state of California will not be seeing $200 million in revenue coming in. I wish that politicians would get it into their heads that people will try to avoid taxation.